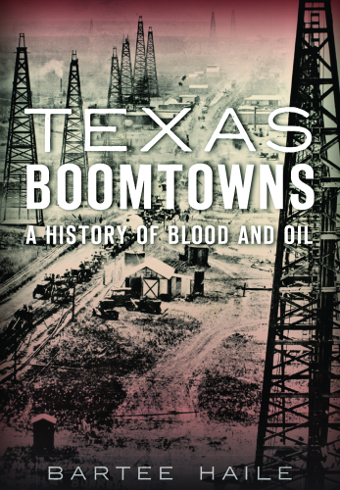 Saturday, January 9th, 2:00-4:00 p.m.
Bartee Haile joins us again with his new history of the small rural towns in Texas that suddenly boomed during the oil rush of the early 1900s. On January 10, 1901, Beaumont awoke to the historic roar of the Spindletop gusher. A flood of frantic fortune seekers heard its call and quickly descended on the town. Over the next three decades, Texas’s first oil rush transformed the sparsely populated rural state practically beyond recognition. Brothels, bordellos and slums overran sleepy towns, and thick, black oil spilled over once-green pastures. While dreams came true for a precious few, most settled for high-risk, dangerous jobs in the oilfields and passed what spare time they had in the vice districts fueled by crude. From the violent shanties of Desdemona and Mexia to Borger and beyond, wildcat speculators, grifters and barons took the land for all it was worth. 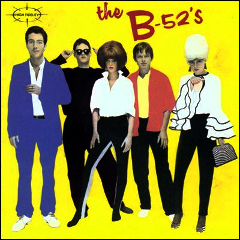 The book explores the story of these wild and wooly boomtowns. 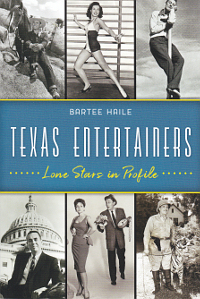 Bartee Haile is the author of “This Week in Texas History”, a syndicated column found in many local newspapers. 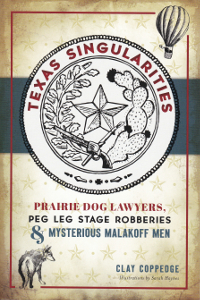 He also wrote two other Texas histories which will be available at the event, “Murder Most Texan,” a true crime collection, and “Texas Depression-Era Desperadoes,” which focuses on Bonnie & Clyde and other notorious criminals of that period.